This is our “top bottling” at Martha Clara Vineyards and named after the iconic Entenmann residence. Showing dark notes of leather, tobacco, and dark fruits on the nose. 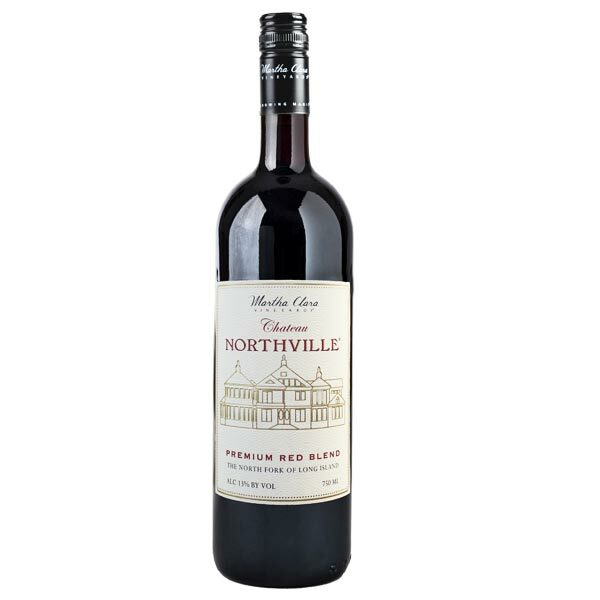 The palate offers soft silky tannins on the palate with well-balanced structure. Nuances of dark chocolate and cigar box abound from the glass. * Buy a case (12 bottles) at checkout and get a 15% ($86.40) discount! The grapes for this wine were sustainably farmed on our Northville farm. Each varietal was individually picked at optimal ripeness, destemmed, soaked for 48-hours pre-fermentation, and then inoculated. This wine was oak aged for 16-months in a mixture of 85% French oak and 15% American oak. This wine will pair best with full flavored cheeses, hearty Italian dishes, and grilled meats. This wine would benefit with light decanting prior to serving. Drinking well now through 2035.